You are here: Home / Movie Reviews / Justice League Movie Review!! Justice League generated $93.8 million on its opening weekend and to date, has grossed $626 million worldwide. 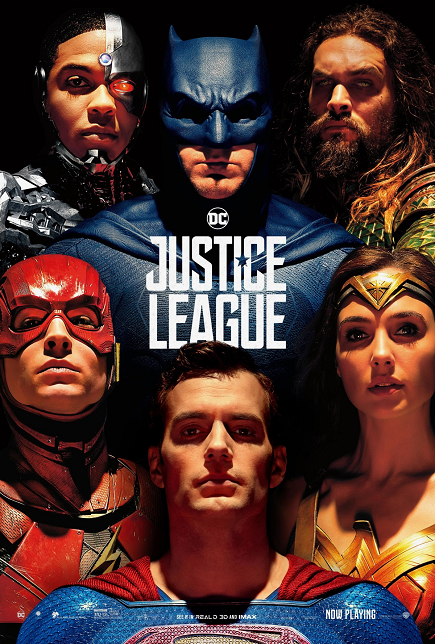 Justice League is a continuation of the story started with the film Batman V Superman: Dawn of Justice.Â Even though the Justice League was highly anticipated for DC Comics, it slowly grossed through the month of November compared to Thor: Ragnarok.Â Justice League is based on the comic stories Death and Return of Superman and Justice League: Origin. There were many changes made to those two comic stories when entering the live cinematic realm. In the comic Justice League Origins, Green Lantern was the among the starting six members of the League. In the film,Â Aquaman took place of the Green Lantern with great results, slating a solo film release in 2018. Also, in Justice League Origin, the team coincidentally converged together because of the worldwide invasion by Darkseid.Â In JL 2017,Â Bruce WayneÂ went on his search for the metahumans thatÂ was discovered on the computer files of Lex Luthor. With the lost of Superman, Bruce needed a force to save the planet from a pending invasion. After gaining some knowledge of the Mother Box, the technology was then used to resurrect Superman. In The Death Of Superman comic, Superman wasÂ rejuvenated in the Fortress of Solitude and even wore the iconic black kryptonian suit that fans wanted to see in the JL 2017 film. There was a glimpse of this suit in Man of Steel when General Zod was explaining to Superman the purpose of the Codex.The Flash and Cyborg made their first appearance in the cinematic realm as well. With what we see of Cyborg, wouldÂ Iron ManÂ orÂ UltronÂ be match for him? How about the Flash? Do you think the CG used to display his powers are better than Quicksilver in the X-Men movies? BatmanÂ is technically the leader of the Justice League, even though Superman is the most powerful member. At the ending of the film, Bruce decides to use the old Wayne Manor as a base for the League. Is this idea made to replace the Watchtower concept or will The Tower appear in future films? In JL 2017, you can see different versions of Batman which stemmed from various sources. Elements from the game Arkham City,Â was seen in the beginning scenes with Batman baiting in the Parademon. During the battle against the Parademon army, Batman wore the batsuit similarity worn in Arkham Knight.Â Comic fans felt the presence ofÂ Owlman when Batman wore his goggles. JL 2017 is the third film Ben Affleck‘s Batman has appeared without his own solo film. There are rumors back n forth whether or not Ben Affleck will continue his role as the Dark Knight. How much different do you think the Justice League movie would have been with the Christian Bale Batman and Christopher Nolan?? During his time on the kryptonian ship, Lex Luthor learned of the universal worlds stored in its computer archive. Here he probably learned of Apokolips and the owners of the mother boxes. Knowing that S.T.A.R. Labs has a mother box in possession, Lex more that likely informedÂ SteppenwolfÂ of this in the deleted scene “Communion“. Not only this, Lex summons could have been another way to destroyÂ Superman in case his monster failed. In the ending scenes of Batman V Superman, Lex informs Batman of Steppenwolf’s future approach, where he ultimately does. What’s interesting in Steppenwolf’s first failed invasion, he retreated Earth on his ship along with his advisors. In his second failed attempt, boom tubesÂ was the mode of transportation to Earth. Also during Steppenwolf’s defeat, a boom tube was activated on his location, instantly teleporting him and his Parademons back to home base. Is it possible that Darkseid sent the boom tube himself to recall his general from ultimate defeat? Was it fitting to bring Steppenwolf to the big screen before Darkseid? What’s also interesting about the boom tube is that it looks and functions very similarly to the BiFrost Bridge used in the Thor films. Does Asgard and Apokolips share more similarities with each other with only the difference being good and evil? During Stepphenwolf first assault on Earth, The Green Lantern Corps fought alongside the forces of the planet to put a halt to the general and his forces. These Green Lantern officers perished in battle, sending their power rings in the universe looking for worthy replacements. The cameo of the Corps give fans a glimpse of the next super force to join the Justice League. Ryan Reynolds portrayed Hal Jordan in the 2011 film. Will Hal Jordan’s character return to the cinematic universe or will a different Earth Lantern like John Stewart or Guy Gardner take place among the super team? After the Justice League is completed with a Green Lantern, will Darkseid come to Earth himself to face the League? Just like Batman V Superman, Justice League also had scenes deleted from the theatrical version. Many of these deleted scenes were visuals fans saw in the collection of previews for the movie. With the lost of these particular scenes, fans started a petition to have Zack Synder create a director’s cut to complete the story. Batman V Superman proved to be a greater film when sold as an Ultimate Edition, so why not have a director’s cut from the beginning? With a budget of $300 million, fans expected this film to bring silence to the recent Thor Ragnarok, but instead fell short by $200 million. Zack Synder left his masterpiece because of the death of his daughter and his vision was carried on by Joss Whedon, who is known for working in the Marvel Cinematic Universe. Question is, with such low rated reviews, will Justice League have another film in the works? If so, will Jack Synder return and direct once more? What will become of the DC Cinematic Universe? Do you think DC Comics will ever stand a chance against the Marvel Cinematic Universe? Check out these exclusive collectibles for Justice League provided by Sideshow Collectibles! You don’t want to miss out! Justice League spoilers: where is Deathstroke, and what happened to Superman’s face?